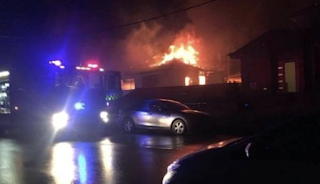 Australian, Krste Kovacevski, burned down his house the day before it was going to be handed over to his ex-wife, Naumka Kovaceska, in a property settlement. He lost an appeal in which he argued that he didn't commit any crime by starting the fire. K. Kovacevski and N. Kovaceska divorced in 2015 after being separated for several years. On 22 July, 2016, a judge finalized the property settlement proceedings between the former couple and ordered K. Kovacevski to leave their cottage, where he since in 1991, and hand it over to N. Kovaceska within a couple of months. K. Kovacevski signed the transfer agreement on 3 August. But after midnight on the morning of 4 August, he set the house on fire and it was completely destroyed. According to court documents, K. Kovacevski confessed to starting the fire when police arrived at the scene and found him by a garage at the back of the property. Ohio death row inmate Gary Otte is motioning to have his death penalty rescinded for the third time before his execution date on September 13, 2017. Otte robbed and murdered two people on consecutive nights in 1992 and was convicted on two counts of aggravated murder and sentenced to death when he was 20 years old. The state of Ohio allows the penalty for those older than eighteen. A recent court decision in Commonwealth of Kentucky v. Bredhold found that the death penalty is unconstitutional for a defendant who was younger than 21 at the time of his offense. 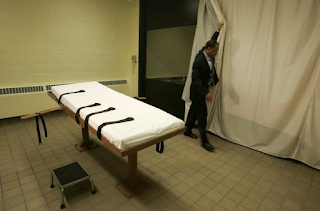 It cites that based on current scientific understanding that the brain and emotional development of young offenders reduces their accountability for the death penalty. The Seventh Circuit ruled that banning sales of out of state breeders does not violate the Commerce clause, and should help reduce puppy mills. Since the law's enactment, pet stores in Chicago are limited to selling dogs, kittens, and rabbits purchased from animal shelters, nonprofit humane societies or animal rescue organizations. 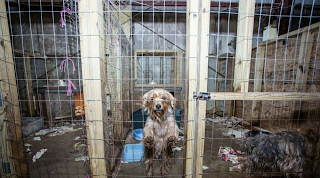 Before it's effect in 2015, Chicago based pet shops brought up a federal complaint that accused lawmakers of doing more to help puppy mills with the law than shutting them down. The complaint argues that the ordinance does not eliminate the facilities, but eliminated the source of commercially bred puppies in the county that are highly regulated. So consumers wanting a pure-bred puppy will go straight to the source(the puppy mill) instead of going to the pet stores.